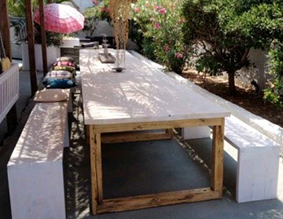 We welcome you to an Ashtanga Yoga retreat in Ikaria Island. 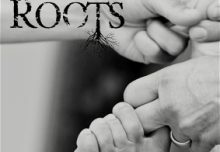 We invite you to have the opportunity to submerge into your practice through a heart to heart inspiring teaching. 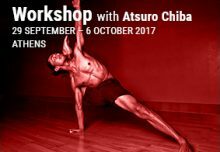 Aris will work intensively with the breath, the bandhas and the use of gravity to enable the practitioner to flow through practice with ease and softness. 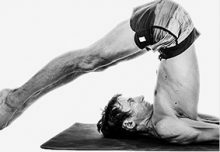 Your inner and core strength will be developed, based on the Bandha work to release all unnecessary tension. Each day, in the morning, we will be focused on traditional Ashtanga Yoga Mysore classes. In the afternoons there will be a second practice with more focus on the techniques of Ashtanga Yoga, the “inner work” like breath, bandhas and various other aspects of the practice. There also will be time for talks about Yoga Theory and Philosophy. Every morning, before Mysore classes, Zazen meditation will further develop your concentration and deepen your practice. All levels of students are welcome to join the retreat. Arrival: Saturday, 4 June, welcome dinner. Departure: Saturday, 11 June, after breakfast. Departure Saturday: Morning Mysore Class (time to be arranged). 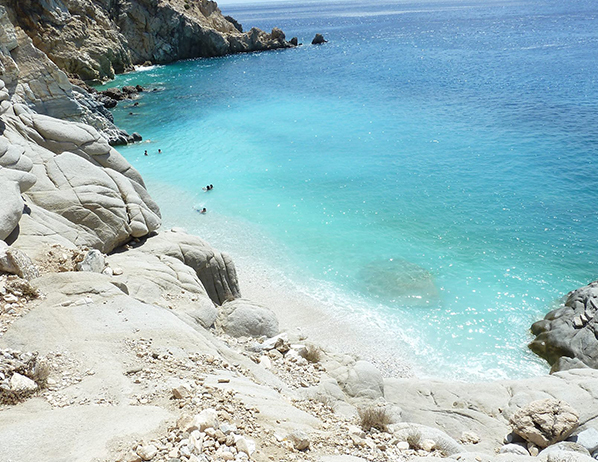 Each day you will have the opportunity to explore the beauty of Ikaria island. We will practice at THE EGG Seminar House. 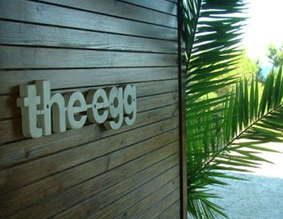 THE EGG is an international seminar house in Ikaria, overviewing the sea from sunrise till sunset. 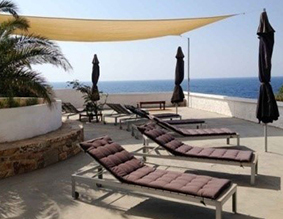 In a private well protected open-air space, cradled on the one side by low mountains and on the other by the sweep of the horizon and the sea, you would find a natural sanctuary of exceptional beauty where the main activity is simply relaxing in its remarkable atmosphere of peace and calm. We will stay at Karras Star Hotel, next door to THE EGG – 2 minutes walking distance. It is situated in Avlaki village, between Kampos and Messakti beach, located no more than 6 kilometers from Evdilos, emerging majestically from a distance. It is amphitheatrically built and allows almost every room the breathtaking view of the Aegean Sea. Its surroundings are not only modern and sophisticated but also reflect the tradition of the island. You can choose a single or a double/triple room. The traditional greek breakfast meals are served on the Karras restaurant and will be offered in a buffet style. A 15% discount is offered in the combine price to those who would like to participate in both Ashtanga Yoga retreats that Porta Pandana and Ashtanga Studio Berlin (May 28 – June 4 at Triopetra) are hosting at the same period. The costs for travelling to the yoga retreat are not included in our price; however we will help you organize a transfer from the airport to the guesthouse. Please send an email to info@ashtangayogaathens.com for reservation. Since the number of participants is limited, we recommend to register early. Your booking will be confirmed upon receiving a down payment of 250€. The rest has to be paid in Ikaria island before the retreat starts. Until 1st of April 50% of the down payment will be refunded. The shortest journey to and from Ikaria is by plane. The airport is located in Faros, 55km from Karras guesthouse and about 12 kilometers from the island’s capital Agios Kirykos. It serves daily domestic flights, mainly to and from Athens (Athens International Airport – Eleftherios Venizelos) and Thessaloniki. During the summer months, there is a connection with other islands, such as Crete, Mykonos, Kos and Lemnos. Daily flights from Athens to Ikaria: www.olympicair.com. Daily flights from Thesssaloniki to Ikaria: www.astra-airlines.gr. 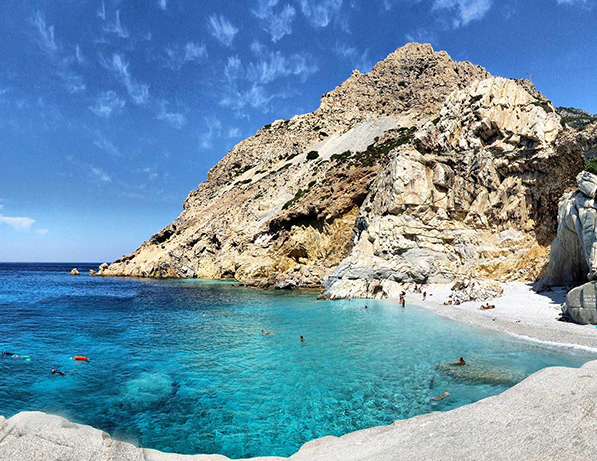 Alternatively, you can fly to Greece directly to the islands of Mykonos , Kos or Lemnos and take a ferry to Ikaria. The ships from Piraeus will bring you to Evdilos (6km) or to Agios Kirikos (45km). By car, taxi or rental car you will drive through the picturesque mountains and scenic costal route to Karras. Please feel free to contact us for any assistance needed. Contact person : Rena Hatzinikolaou-Mavrogeorgiou. Please mention Ashtanga Retreat 4-11 June, Aris Kapetanakis.